Once again, I helped my brother to get Innisfree Jeju Volcanic Pore Cleansing Foam. He stays in the hostel during weekdays and comes home to stay only on the weekends. He doesn't want to bring the cleansing foam around, from hostel to home and from home to hostel. So he wants to get another tube. It is a good cleanser but I won't rave about it since I have already did a review on this. As for the Pure Joy Restorative Cream, it has a 7-free formula --- Void of Paraben, Benzophenone, Ethanol, Synthetic Perfumes, Synthetic Dyes, Mineral Oils and Genetically Modified ingredients and is a cream for sensitive skin. My friend introduced this to me when I told her the area of my chin and jawline are prone to dryness and quite sensitive to strong ingredients. She has sensitive skin and this works great for her so I bought this to try it out but I have yet to use it since I am quite satisfied with my current daily skin care products. I would only use this when my skin felt dry and itchy. 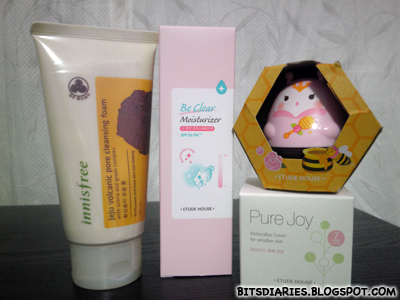 I have been using the Etude House AC Clinic Acne Foam Cleanser and Pink Powder Spot + extreme for more than a month now. 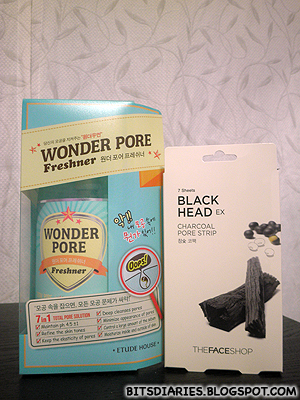 I am satisfied with the products so I decided to try some other products in this line. 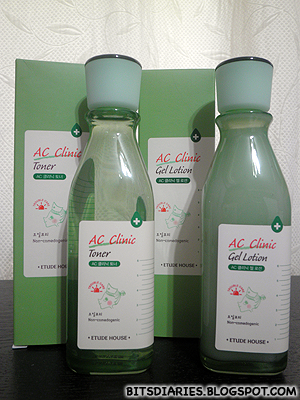 I actually wanted to get the Innisfree Volcanic Pore Toner but after some thoughts, I decided to put that toner in the wishlist and try the AC one first. 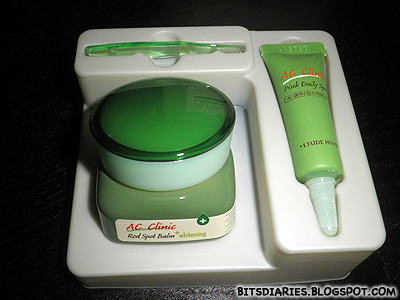 I tried the AC Clinic toner once and it dries out my skin! I have said that some areas of my face are prone to dryness and are sensitive. 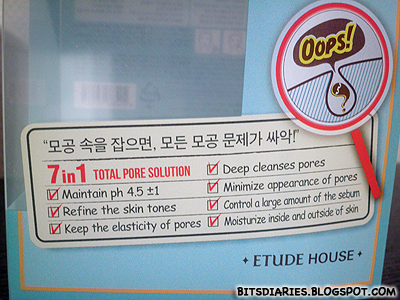 I didn't know that this toner contains ALCOHOL which probably the reason why my skin became dry after using it. Anyway, I stopped using it already and probably will sell this away to my friend if she's interested. 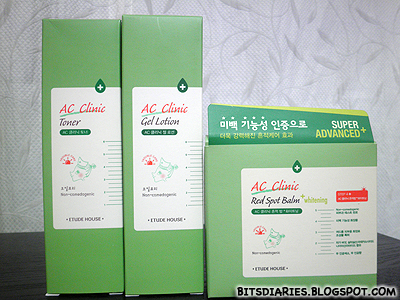 Got the AC Clinic Red Spot Balm + whitening kit and I am happy that it comes with a small version AC Clinic Pink Daily Spot(5 ml). I have been wanting to try this too. I believe it is the morning version of Pink Powder Spot + extreme. Pink Powder Spot + extreme is a night spot treatment while Pink Daily Spot is both Day & Night spot treatment and I think Pink Daily Spot is not as strong as Pink Powder Spot. 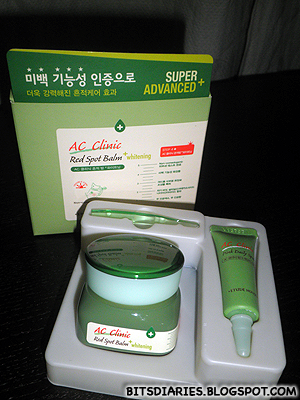 So..., AC Clinic Red Spot Balm... I have used up the small jar(5 ml) of Red Spot Balm which comes with the Pink Powder Spot + extreme kit. It does helps to lighten the redness of the post-acne marks but it's just lighten..., not fade totally. Well, I only have used up a mini jar(5 ml) so I can't really judge and give the exact rate of effectiveness. Since I have seen some results using the mini jar so, I bought the full version. Hopefully it does helps to totally get rid of hyperpigmentation marks. Will update more about this in the future. 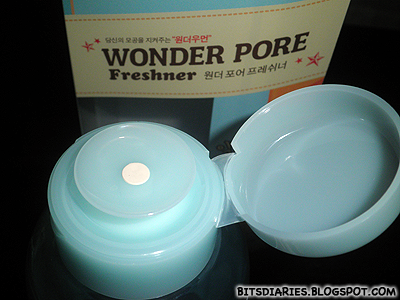 Etude House Wonder Pore Freshner description on the box: This product is a total solution for pore care, preventing enlarged pores, less firmer skin and skin troubles by eliminating what hurts skin health from within. The best part of this product is the PUMP DISPENSER! 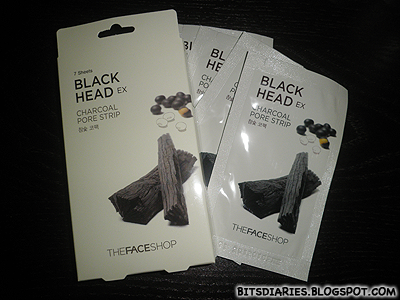 The Face Shop Black Head EX Charcoal Pore Strip comes in a box of 7 sheets. I used it last night and I must say..., this is 100% way MORE EFFECTIVE than the Biore Pore Strip! Awesome product! Will write a review about this soon. 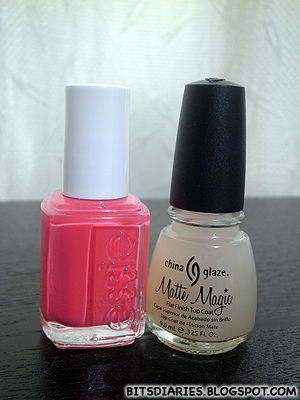 Essie's Cute As A Button & China Glaze's Matte Magic Top Coat. 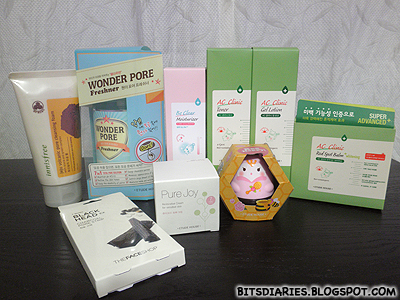 Coming up next: Review on some products.